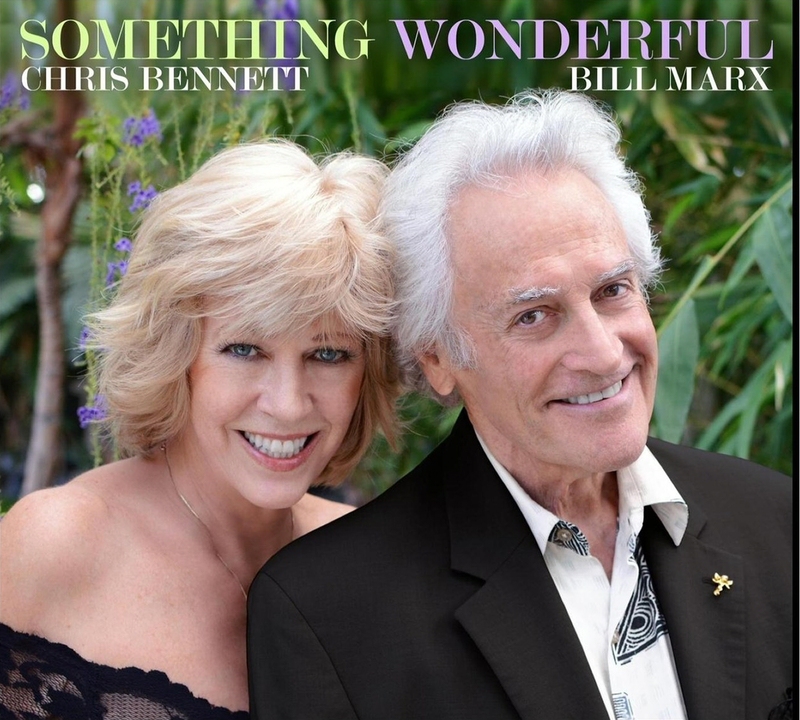 Grammy Nominee Chris Bennett and Jazz Giant Bill Marx have released an incredible new album entitled “Something Wonderful” which is now available worldwide. Download your copy today. Grammy Nominee Chris Bennett got her professional start as a dancer and backup singer, playing Las Vegas and touring internationally behind Jim Nabors and Dean Martin. In Munich, Germany, Bennett met four-time Grammy winner, composer/producer Giorgio Moroder, the producer of Donna Summer, who is dubbed “The Father Of Disco,” and was invited to join his emerging disco group Munich Machine. He chose Bennett to be the lead vocalist for their sophomore album that would contain a dance version of the Procol Harum rock classic, A Whiter Shade Of Pale. Bennett not only recorded the entire album, she also posed for the groundbreaking cover art. Bennett’s runway model’s body and movie star looks caused an international sensation, and made for one of the highest charting and highest grossing disco albums of 1978. Bennett worked with Moroder on several additional projects, including co-writing and singing the theme song to Midnight Express, Moroder’s bestselling soundtrack, which earned her a Grammy Nomination. Bennett has appeared behind some of the biggest performers in music history, including backing disco diva Donna Summer on several of her biggest hits, including “MacArthur Park” and “Heaven Knows,” as well as working with Johnny Mathis and Rita Coolidge. As a songwriter, Bennett’s songs have been recorded by artists such as Tina Turner, The Manhattan Transfer, The Three Degrees, and Keb Mo. Bennett is celebrating the release of her 12th album, “Something Wonderful” with just piano and voice, accompanied by jazz giant Bill Marx on the piano. A musical prodigy, Bill Marx is the heir to Hollywood royalty as the eldest son of Harpo Marx, and nephew of Groucho Marx of the legendary comedy family the “Marx Brothers”. Bill Marx is the musician who arranged his father’s most famous repertoire for the harp. “Something Wonderful” is an amazing “time- traveling” adventure with Chris Bennett through the Great American Songbook, with Marx as her guide.